In this video, we will be discussing how living outside of the United States impacts your FBAR and FATCA obligations. United States taxpayers who live overseas still have a Foreign Bank Account Report and Form 8938 filing requirement for their foreign financial accounts. In general, your FBAR obligations will not be impacted by the fact that you live overseas. If you are United States citizen and your aggregate account balance of foreign accounts exceeds $10,000 during the year, you must file an FBAR, regardless of where you live. Your Foreign Account Tax Compliance Act (FATCA) obligations using Form 8938 require a bit more discussion. Whether you need to file a Form 8938 will be impacted by where you reside because there are different threshold amounts depending on whether you live in the United States or abroad. Unmarried individuals (or married-filing-separately): Total value of specified foreign financial assets was more than $200,000 on the last day of the tax year, or more than $300,000 at any time during the year. Married individual filing jointly: Total value of assets was more than $400,000 on the last day of the tax year, or more than $600,000 at any time during the year. You are considered to live abroad if you are either a bona fide resident of a foreign country for an entire tax year, or if you spend 330 days outside of the United States during a 12-month period that ends during the relevant tax year. Taxpayers who live in the United States have lower threshold amounts that trigger a Form 8938 filing requirement. Taxpayers who live overseas also receive an automatic two-month extension for filing their income tax returns. While living overseas will not impact your FBAR filing obligations, it could impact your voluntary disclosure options, particularly the penalty you must pay if you use the Streamlined Filing Compliance Procedures. 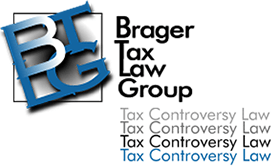 This program is available for reporting non-willful FBAR violations and requires the payment of a miscellaneous offshore penalty equal to 5% of the highest aggregate balance of the taxpayer's foreign financial assets during the years in the covered tax return period and the covered FBAR period. Taxpayers who live overseas and use this amnesty program can have this and all other penalties waived. This means it's possible to come into FBAR compliance and eliminate the risk of hefty fines. For more information, download our free Special Report entitled, "Nine Questions You Should Be Asking About the IRS Streamlined Filing Compliance Procedure for Unreported Foreign Accounts".